18 Kennedy Drive in Putnam, CT. In 2019, our ninth season, the Market will be held on Saturdays from June 1st through October 26th, from 10am to 1pm. Click here for detailed directions to our market. Click here to contact the Market directly. SNAP/EBT cards and debit cards for transactions. Follow the Putnam Saturday Farmers' Market on social media! You can follow us on Facebook, Twitter, Pinterest or Instagram. Just click one of the logos to get connected! Want to be part of the market? Are you interested in vending at the Putnam Saturday Farmers' Market? The PSFM is always looking to add more farmers and vendors selling Connecticut Grown products. Our application forms have more details and information about our Market..
We also have openings throughout the season for you to sell your artistic and crafty creations at the PSFM. 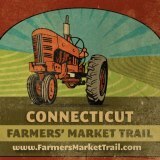 The Putnam Saturday Farmers' Market is proud to be a part of the Connecticut Farmers' Market Trail, connecting markets all over Eastern Connecticut and the Connecticut River Valley. To learn more about what Putnam has to offer, visit our trail page. The Putnam Saturday Farmers' Market is brought to you by the Town of Putnam's office of Economic and Community Development. 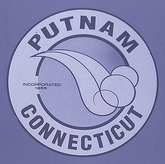 If you aren't familiar with Putnam, the town's Visitor Page is a good place to find out about the town.